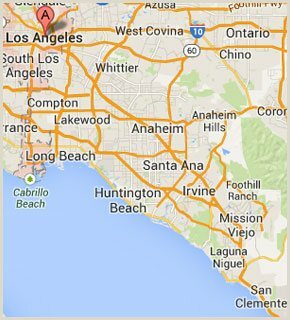 Mobile Concrete provides Orange County and Los Angeles with the best value in short load concrete delivery. Over the last 10 years, our locally owned business has helped thousands of residential and commercial clients obtain the high-quality cement they need, quickly and affordably. We offer fast dispatch 24 hours a day, 7 days a week, and only charge you for the amount of cement you use. Our team consists of highly experienced and fully licensed concrete specialists who provide exceptional service and expert advice related to concrete forming, preparation, and finishing. At Mobile Concrete, we offer a lucrative alternative to small loads of ready mixed cement because we use volumetric cement mixer trucks instead of barrel mixers. 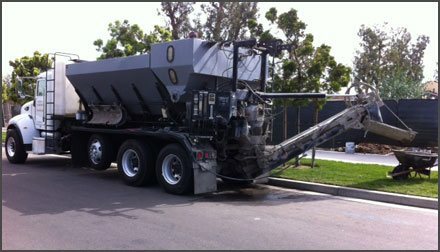 Our state-of-the-art trucks give us the ability to mix our cement on site, which means that your cement will always be fresh and can be instantly adjusted to the circumstances of your specific project. These trucks give us the ability to better control the strength and appearance of your concrete as well as make accommodations for hot or cold days. With our on-demand concrete service, you won't have to worry about hot loads and receive significantly longer standby times (15 minutes per yard versus 2-3 minutes per yard as is the standard for ready mixed concrete). 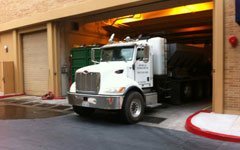 Our trucks are all certified by California Highway Patrol and capable of traveling anywhere a garbage truck can go. Call today for a free concrete delivery quote. Our technicians will help you determine how much concrete you will need for your project and set up a specific appointment time that works with your schedule. If needed, we also offer a very affordable concrete pumping service. 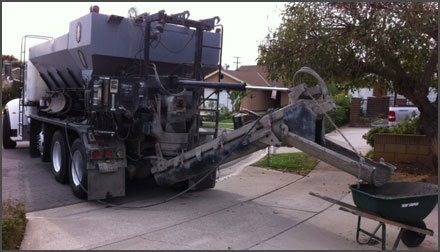 We provide Los Angeles and Orange County homeowners with fast, affordable mobile concrete delivery. Our short load concrete is always made fresh on site. This means that--unlike ready mixed concrete--you get a longer standby time, can have your concrete customized to your needs, and only pay for what you use. We've helped thousands of contractors obtain the best price for small cement pours, whether they have a small job or have run out of concrete while working on a larger job. We can deliver our concrete at a moment's notice, any time of day or night, and have it custom mixed to your precise specifications. Concrete Is Always Freshly Mixed--No Hot Loads!